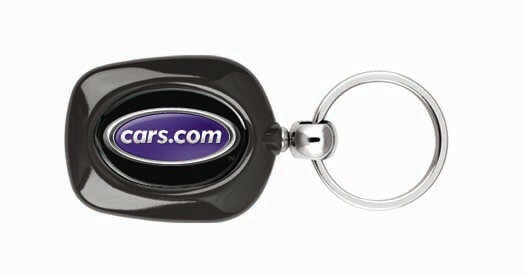 Rock your advertising campaign with the Orion Duo N-Dome (TM) Key Tag! It features a heavy duty split ring attachment and the exclusive N-Dome process prints your company name or logo on both sides for twice the exposure. The bold and contemporary metal and molded design is available in two colors. Your four color process imprint will look incredible sealed under the epoxy dome. 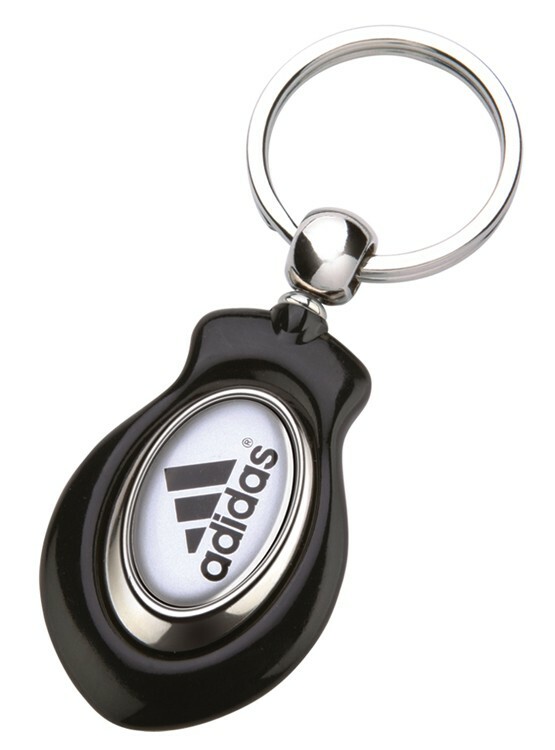 Make seeing your promotional message a daily event with this durable and attractive keychain! Get more bang for your buck with the Bonny Duo N-Dome (TM) Key Tag! Available in three colors, this promo tool's design is a bold combination of contemporary metal and molded material. The durable and attractive key tag will be a daily presence in the recipients' lives, giving you constant advertising exposure. The 3 5/8" x 1 1/16" keytag is great for car dealerships, real estate offices and even locksmiths. Float into your next advertising opportunity with the Zepplin Duo N-Dome (TM) Key Tag! It features a heavy duty split ring attachment and the exclusive N-Dome process that prints your company message or logo on both sides of the tag. Get twice the exposure on this bold and contemporary metal/molded design. 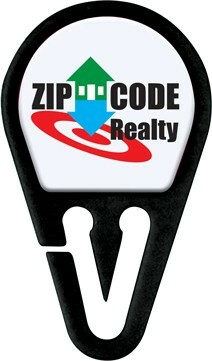 Available in three colors, this durable and attractive key tag makes seeing your marketing message a daily event. The incredible four color process imprint is sealed under a polyurathane dome. Create a piece of awesome to promote your company! Refuse to be denied with the Onyx N-Dome (TM) Key Tags! The bold and contemporary metal and molded plastic designs feature an N-Dome (TM) to create an attention-getting product that will not be ignored. 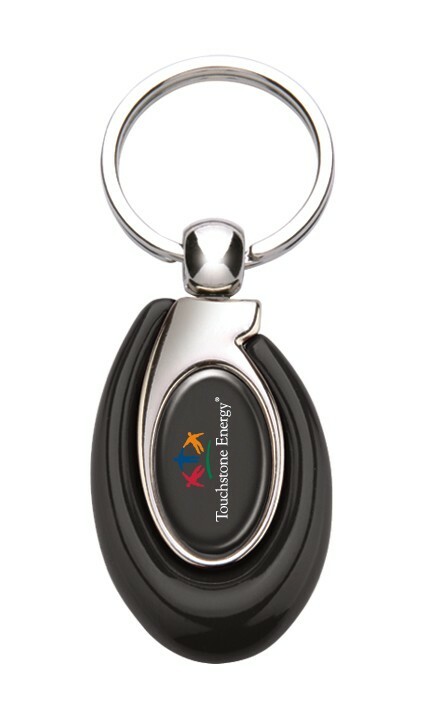 These durable and attractive key tags will make seeing every advertiser's message a daily event. With an imprint area measuring 1 3/8", these key chains are great for car dealerships, real estate offices and locksmiths too. With incredible color, what more could you ask for in a promotional product? 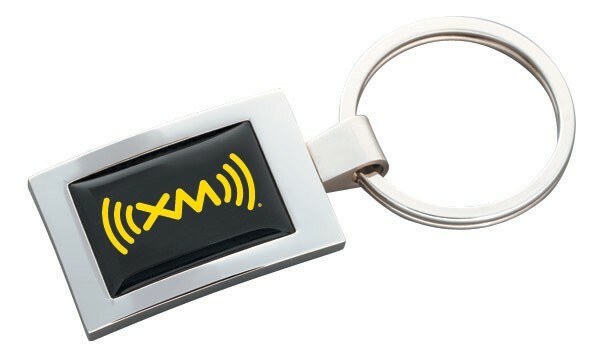 Open new doors and opportunities with the Vortex Duo N-Dome (TM) Key Tag! This durable and attractive key tag combines contemporary metal and molded plastic designs. It features duplicate imprints on each side to be twice as nice without being twice the price. It measures 3 1/4" x 1 3/8" and will make seeing every advertiser's message a daily event. Create an attention-getting promotional product that will not be ignored with an incredible color. See where a great marketing item can take your company! Keep your marketing plan versatile with the Pull-Apart Key Tag with N-Dome (TM)! Strikingly crafted from fine metals and polished to a beautiful high-gloss finish, it features a distinctive executive look. 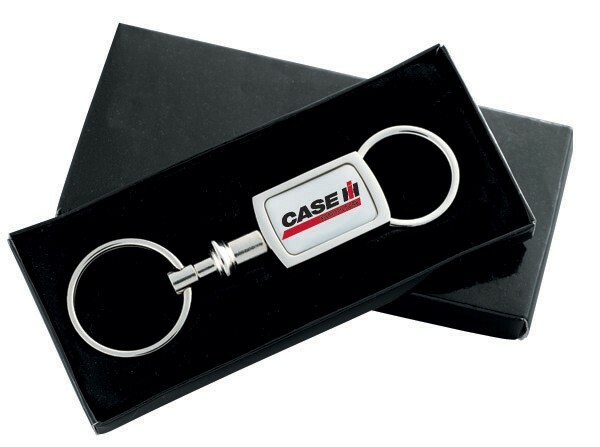 Always appropriate for a multitude of industries and promotional product packages, everyone appreciates the elegant style of this impressive key holder. 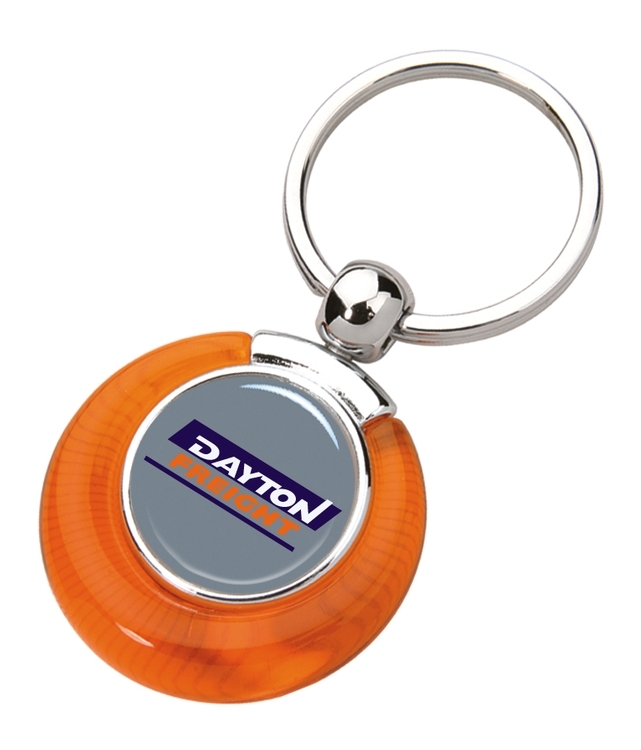 The 3 5/8" x 1 1/16" key chain comes at a great cost and the N-Dome (TM) gives you incredible color. You'd be hard pressed to find something you didn't love about this item! Lend a helping hand to your customers with the KeyZee (TM)! The unique design allows you to easily attach or remove keys to a heavy split ring attachment without breaking your fingernails. Made in the USA, it features the exclusive N-Dome (TM) imprint. It includes up to a 4-color process imprint on your choice of background color, providing permanent, rich, full color printing that won't wear, wash or scratch off. Your message and logo are sure go get noticed. A second side imprint is also available. Save your customers' manicures and advertise simultaneously! 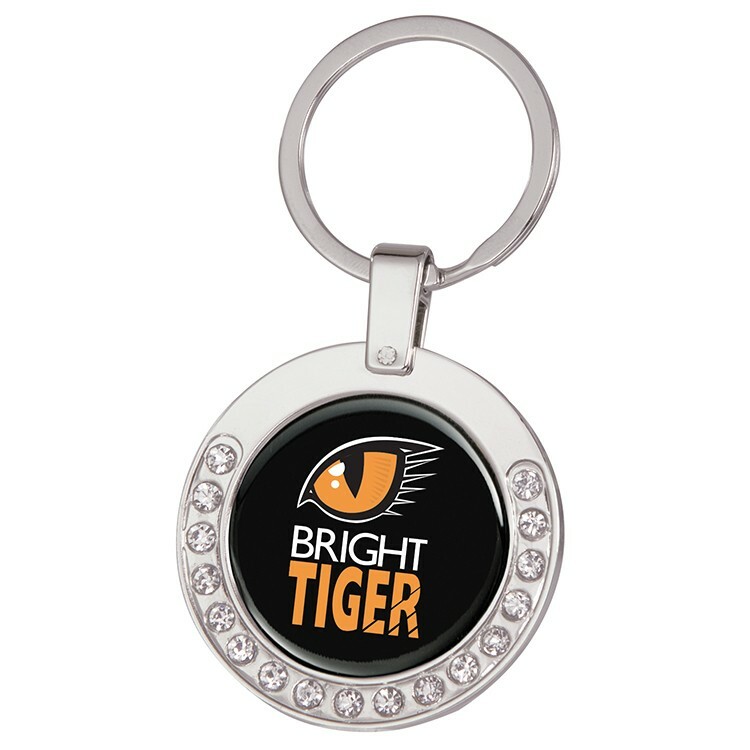 Outshine all the others with the Bling N-Dome (TM) Key Tag! 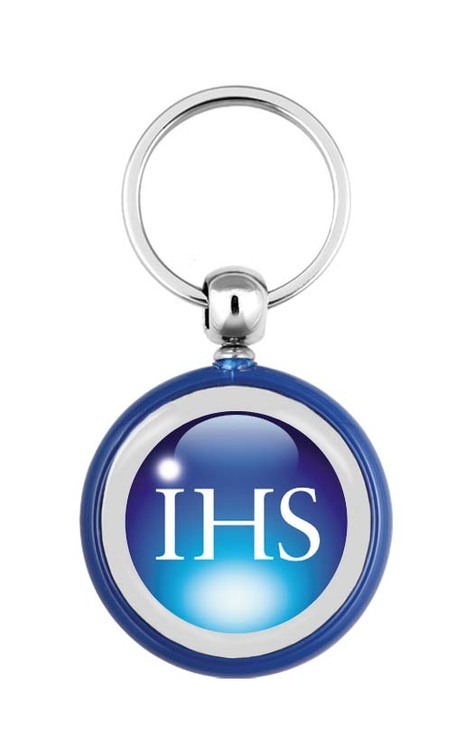 This silver key chain is sure to turn some heads when you add your company's message or logo using a four color digital imprint. This is an excellent promotional product for car dealerships, auto shows, real estate offices, driving instructors and more. It measures 1 1/2" x 3 1/4" and is sure to turn some heads. When you need to drive up your membership numbers, get a marketing tool that's designed just for you! Don't cut corners with your advertising plan when the Rectangular Metal Key Tag with N-Dome (TM) is available to boost your brand! Crafted from fine metals, the elegant styling of this promo product joins a heavy duty split ring attachment and gift box. The exclusive N-Dome imprint includes up to a full 4-color process imprint on your choice of background color. It won't wear, wash or scratch off and it's sure to get your message or logo noticed. 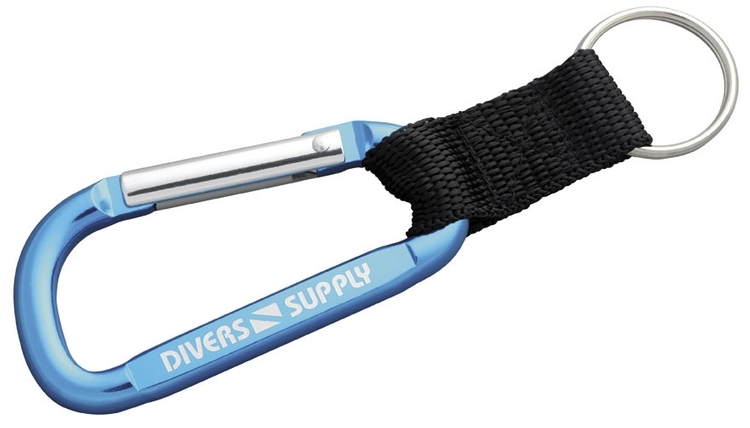 Set high expectations when you include the Everest Carabiner in your advertising campaign! It's made of high-grade anodized aluminum with a sturdy woven strap and split ring attachment. It features a laser engraved imprint.